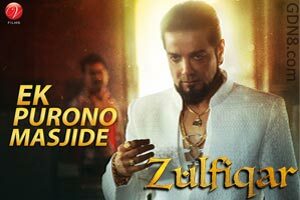 Ek Purono Masjide Lyrics From Zulfiqar Bengali Movie. The Song Is Sung by Nachiketa Chakraborty Music Composed By Anupam Roy. Starring By Prosenjit Chatterjee, Dev, Parambrata Chatterjee, Jisshu Sengupta And Others.